Our tree-cutting adventure was particularly comical this year. During the years we’ve lived in Colorado, we’ve cut down a native, “wild” Christmas tree from the national forest up in the high country of the Rocky Mountains. This year we continued the tradition, strapping chains to our car’s tires and driving up into the snowy forest around 9,600 feet in Arapaho National Forest outside of Winter Park and Fraser. We parked the car at a trailhead alongside a snowy forest service road, when we felt that going any further would only result in the car getting stuck. Then we continued on foot up into the mountains—Kelli 8 months pregnant, two girls ages almost five and three and a half, and our dog. We eventually found our tree for this year … a 12-foot-tall Colorado blue spruce that’s a real beauty. But then came the task for our intrepid troop to carry that tree more than half a mile back to our car. But we made it, stopped for some gluten-free pizza at BeauJo’s in Idaho Springs on our way back home, and then did our annual family tree-trimming party one day later. This means that for us, the holiday season can now truly begin. Which also involves enjoying plenty of egg nog. I don’t know that I’d go so far as to call us egg nog connoisseurs, but we do have some pretty strong opinions. And for our money, we love the Lactaid brand of egg nog. 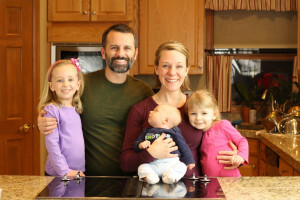 It’s not that we can’t have the lactose in a “regular” egg nog—Kelli and the girls can have dairy no problem, and I regained the ability to digest dairy after being gluten-free for a period of time. We simply love Lactaid’s version of egg nog, lactose or not. 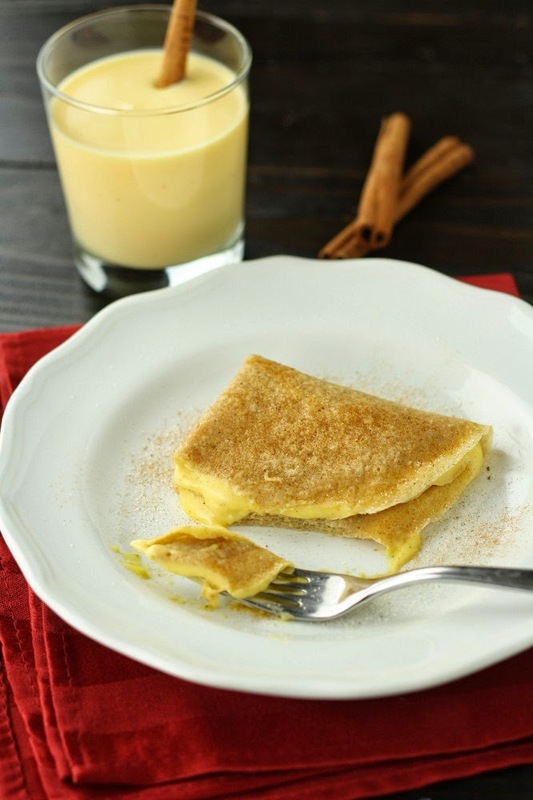 As much as we enjoy drinking it, though, we also love using it in baking, such as this recipe for cinnamon crepes with an egg nog custard. The crepes have a hint of cinnamon without it being overwhelming, and the custard tastes decidedly like egg nog. 1. Mix together the flour, sugar, and cinnamon in a medium bowl. 2. Add the milk, eggs, and vanilla and whisk until the batter is smooth. Add the melted butter and mix until the ingredients are combined. 3. Heat a nonstick medium skillet over medium-high heat. Grease the pan with butter or nonstick cooking spray and wipe the excess out with a paper towel leaving just a thin layer. 4. When the pan is hot, pour 1/4 cup of the batter into the pan and tilt and rotate the pan to cover the bottom of the pan. Cook until the crepe begins to dry, about 45–60 seconds. 5. Flip the crepe, using a fork to separate the crepe from the pan and to turn the crepe over. Cook on the second side briefly, about 30 seconds, and turn out onto a plate. 6. Repeat with the remaining batter. 7. To make the custard: In a saucepan whisk together the egg nog, eggs, cornstarch, and salt. Place over medium-high heat and bring to a boil, stirring constantly with a long-handled spoon. 8. When the mixture comes to a boil, cook for an additional 1 minute stirring constantly. Be careful and the mixture tends to splatter as it boils! 9. Remove from the heat and add the vanilla and nutmeg. The mixture will thicken more as it cools. 10. 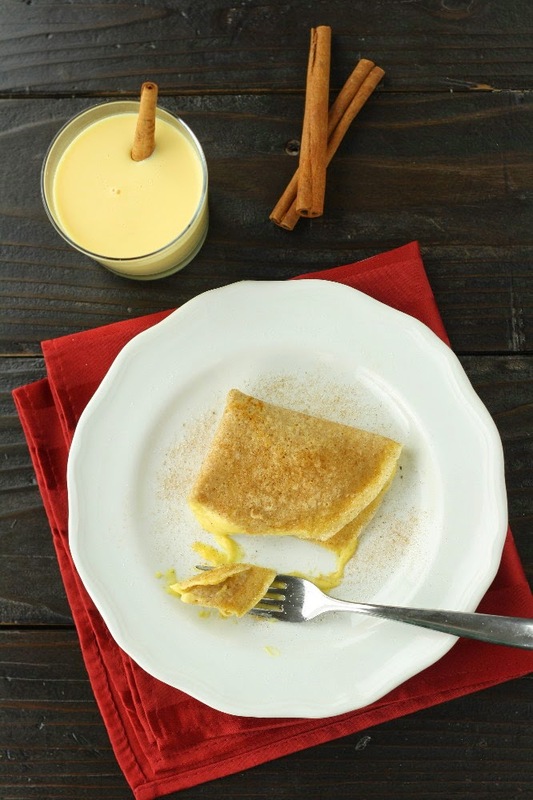 To assemble the crepes: Place one crepe on a plate, and spoon a few tablespoons of the custard on top, spreading it to cover the entire surface. Fold the crepe in half and then quarters. Dust with cinnamon-sugar. Repeat with the additional crepes. This recipe is: gluten/wheat-free, peanut-free, tree-nut free, soy-free, fish-free, shellfish-free, vegetarian. Thanks a lot for the recipe. I’m very excited to try it. BTW. 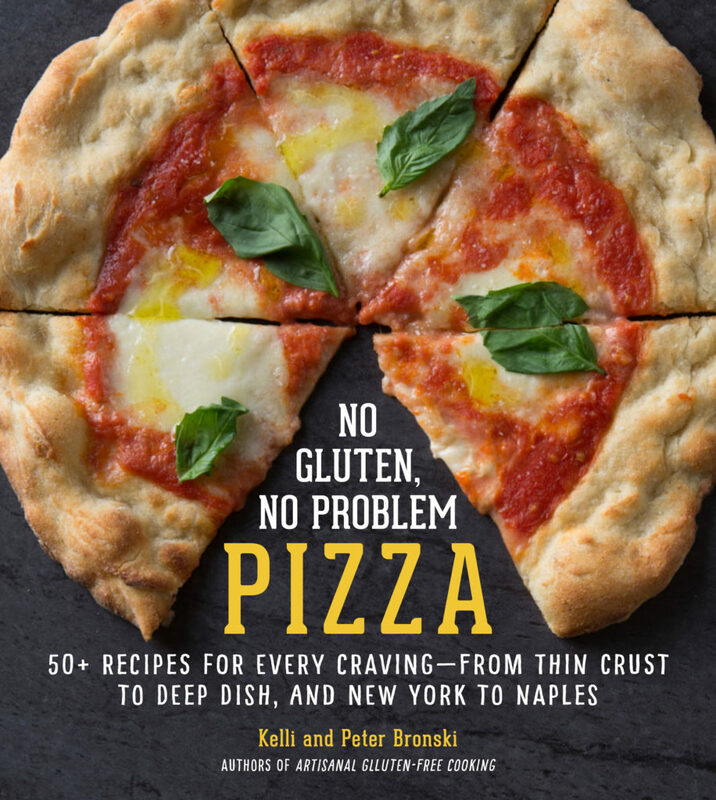 Iooooove your bread recipe. The best GF bread out there!! !